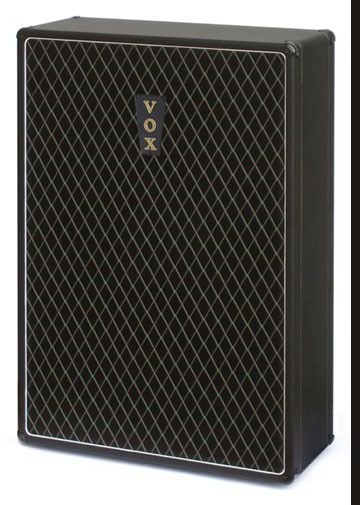 AC-100 Speaker Cabinet, no speakers, no stand Includes correct nameplate, one pin corners, basket weave vinyl with gold string trim, Vox black grill cloth with white piping. All baltic birch construction featuring lap joints and bolted baffle and back. Brass back screws and finish washers. Accomodates four 12" spealers and two Midax horns. A three pin male original style XLR speaker jack with 20" speaker lead is included. Dimensions: 40" tall, 27.25" wide, 11.5" deep, less hardware and stand. About 75 pounds less speakers. 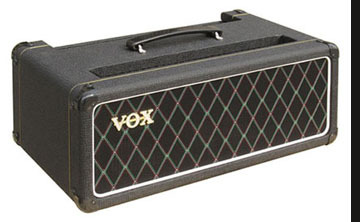 This reissue AC-100 cab is authorized and licensed by Vox Amplification, Milton Keynes UK. 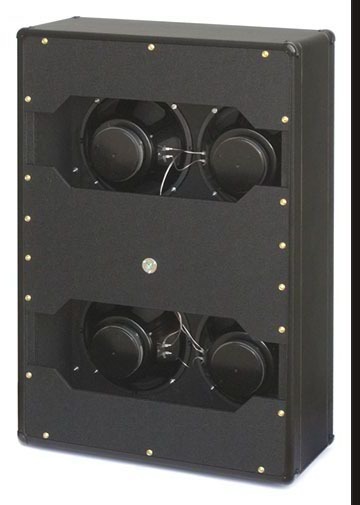 As above but includes four American made, 30 watt Eminence 12 inch speakers. No horns are included or available. AC-100 Mk II "Big Box" Thick Edge Amp Head Cabinet - An extremely accurate replica of the "big box" AC-100 head cabinet produced by JMI Vox from 1965 through 1967. 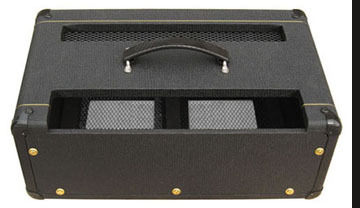 Designed to fit any JMI Vox AC-100 amp chassis. Constructed of 13 ply baltic birch plywood and covered in original style basket weave vinyl, this cabinet will make your old, beat up AC-100 "big box" amp look like brand new. 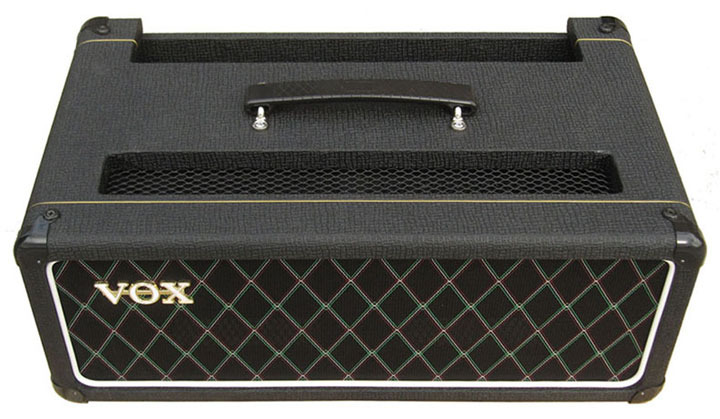 The cabinet features locking half-lap joints, eight one pin corners, a "small" Vox logo, black Vox grill, one NCM-074 handle with a raised diamond pattern. Four feet with mounting screws are provided but not installed, allowing you to choose the proper location for your application. Chassis mounting screw holes are predrilled. Outside Dimensions, Less Hardware - ~19.75" wide, ~7.5" tall, ~11.5" deep. The control panel cutout is ~15½" x ~3." This cabinet is small enough that it may be shipped internationally by mail. Also available at option is the expanded aluminum vent grill used on the inside top and bottom of the cabinet.